MRO Global is a global publication dedicated to news and analysis for airlines, MRO shops and the aftermarket and everything that affects the day-to-day running of their businesses. MRO Global is the on MRO Global is a global publication dedicated to news and analysis for airlines, MRO shops and the aftermarket and everything that affects the day-to-day running of their businesses. MRO Global is the only magazine in the market that polls airlines on features and analysis in each issue and also polls airlines in customer satisfaction surveys. For each issue on different regions and product types, readers are able to build a clear image of how airlines are thinking when it comes to the aftermarket and what they need and are, or are not, getting. 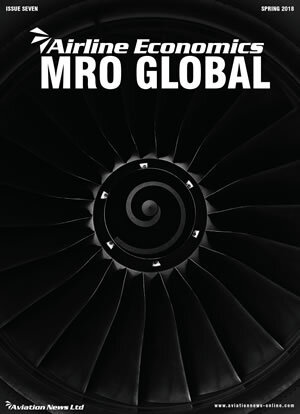 MRO Global is distributed at all of the major Airshows around the world and at conferences and events around the globe. The publication is distributed to key decision-makers around the world, working within airline operations and maintenance departments, airframe, engine and component OEMs, plus MRO organisations. Who is ready for the 787? airlines are thinking when it comes to the aftermarket and what they need and are, or are not, getting.